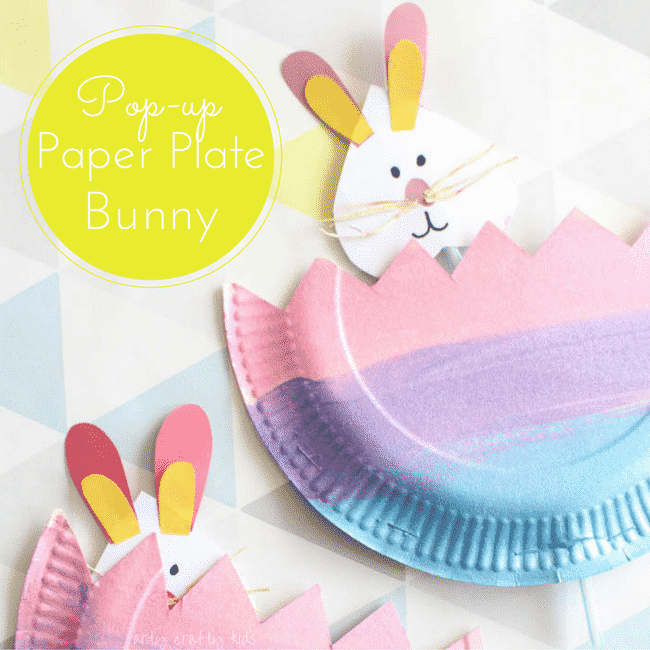 This Pop Up Paper Plate Bunny is super fun and easy to make. Perfect for Easter crafting with the kids this Spring, who will just LOVE playing with their Easter Bunny creations! It’s a great little craft to do during Spring where kids may begin to notice baby bunnies emerging from the fields. With grandparents who live in the country, my own kids love playing ‘spot the bunny’ in neighbouring fields and grass verges along the country roads. 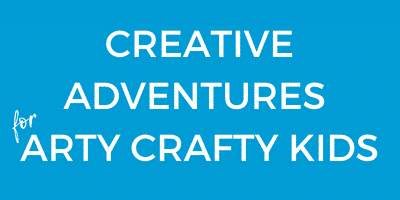 With this in mind, the pop-up aspect of our Easter Craft is particularly apt. Using materials you’re likely to already have stashed away in the craft cupboard, this couldn’t be easier to set up. Next, let’s read all bout it. To begin, cut off the top third of the paper plate and then align the cut-off third with the bottom of the remaining paper plate. You should have a nice gap between the paper plates. Staple the two parts of the paper plate together, using the staples sparingly and cut out a zig-zagged jagged edge along the top of the paper plate to create the appearance of a broken egg. For younger children, you may want to help out with the cutting and sticking, however kids of around preschool age will love to try this themselves. 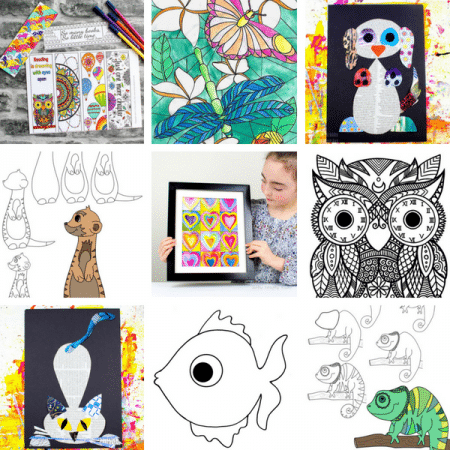 And for the best bit, the kids can use their artistic license to decorate their eggs in the most spectacular and individual way. They could use paint, tissue paper, colouring pens, stickers or anything else you have at home! We chose to decorate our Easter egg with metallic paint, which leaves a gorgeous sparkly sheen. While the Easter Egg is drying, let’s make the bunny! 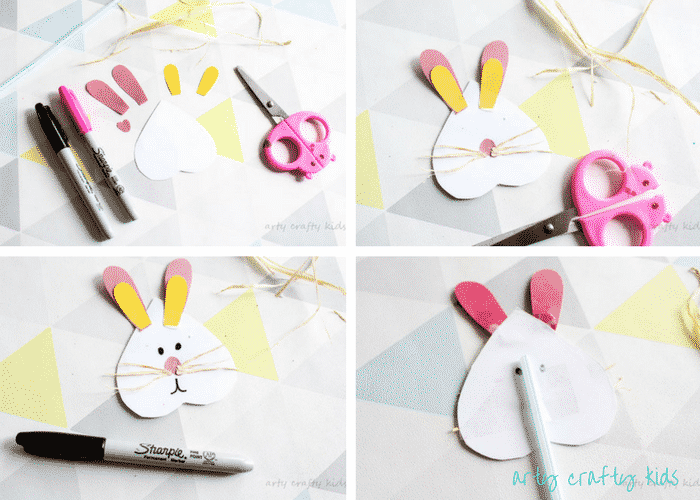 Simply cut out a heart shape for the face and some bunny ears using contrasting coloured paper. Assemble the paper together to make a ‘bunny face’ and add some craft straw for whiskers. Complete the bunny with a pair of eyes and mouth, and affix to a drinking straw. 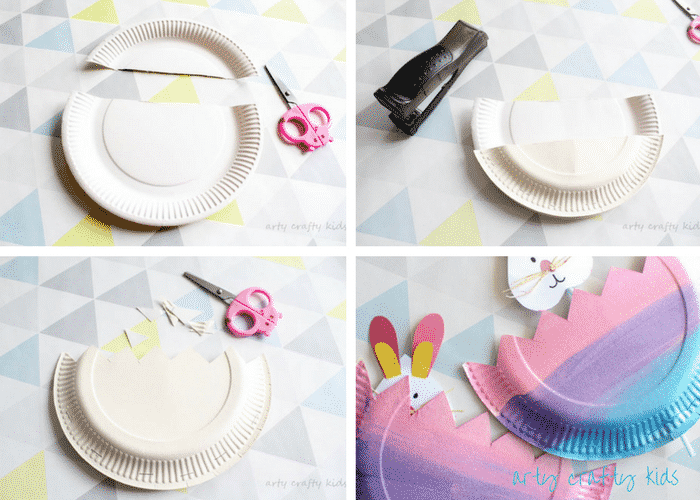 Add the bunny to the paper plate and start playing! 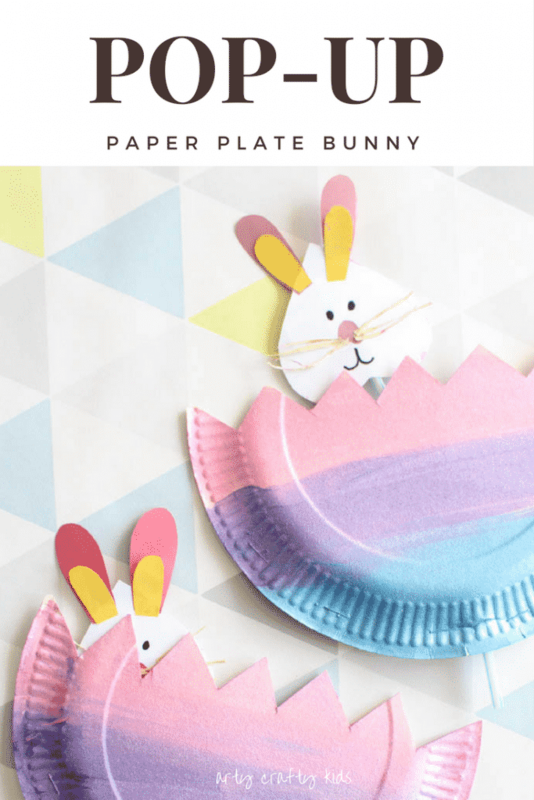 And could be a really fun song to sing along with our Pop Up Paper Plate Bunny, especially if you’re trying this craft with a toddler or preschool group! To see how this idea could be adapted to chicks, check out our Pop Up Paper Plate Chicks! 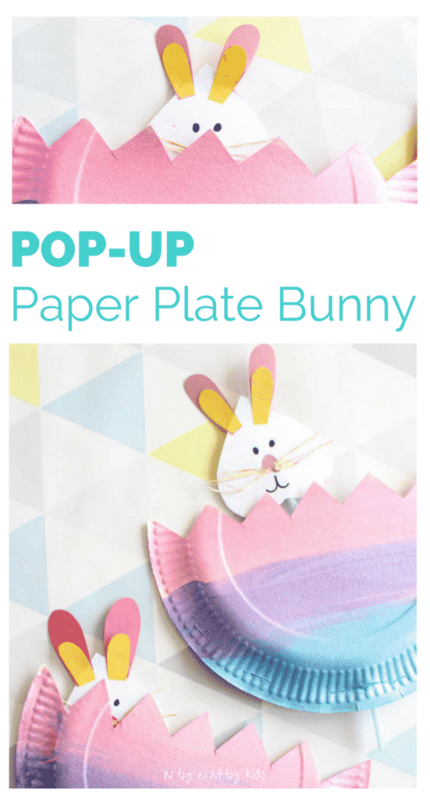 Pin Pop Up Paper Plate Bunny for Later!